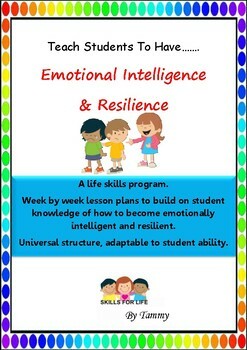 A complete week by week life skills program to build upon students emotional intelligence and resilience. An adaptable program of 1 hour weekly lessons, more than 10 weekly lessons available, so could be used as a term or unit of work. 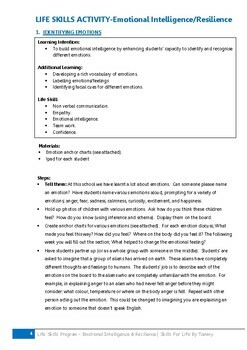 Adaptable to student ability. 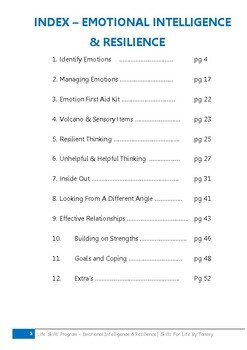 This program allows student to identify emotions, practice various strategies to manage emotions, explore how relationships and social support are key to developing resilience and adapting to change. Students will also identify and share personal strengths and set goal using a growth mindset. If you like this program, check out others in the same collection, including, teamwork, communication & personal independence to name a few.